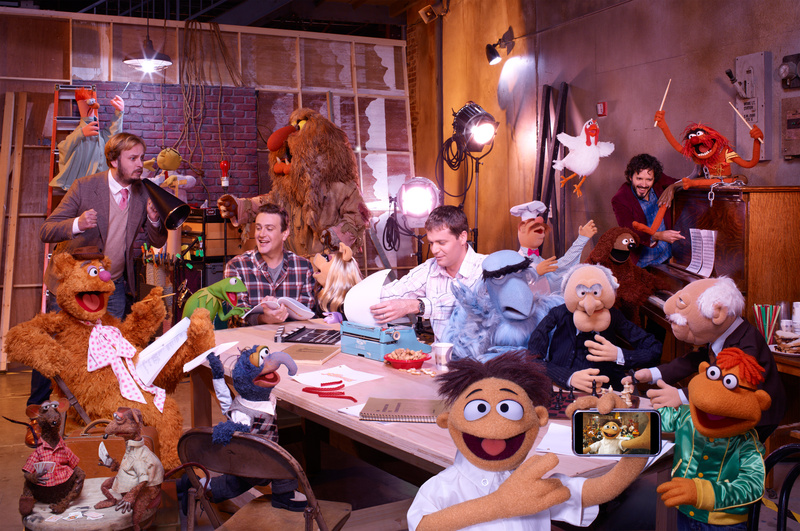 In a nutshell: The Muppets reunite to raise $10 million to save their studio. In September 1976, The Muppet Show premiered on television. The show ended up spanning the length of five years, with a total of 120 episodes. Created by Jim Henson starting in 1954-55, The Muppets also spawned feature length films, television specials and a wide array of other television series. And now, twelve years after The Muppets’ last theatrical release, Muppets From Space (1999), they’re at it again in the new eponymously named The Muppets written by Jason Segel and Nicholas Stoller. The movie is rife with familiar faces like Segel and Stoller (Forgetting Sarah Marshall, Get Him to the Greek). Music and directorial credit go to Bret McKenzie and James Bobin respectively, both of the television series The Flight of the Conchords. The starring roles, Gary and Mary, are held by Segel himself and the beautiful Amy Adams. And of course it wouldn’t be the Muppets without a slew of celebrity cameos throughout the film, from the likes of Neil Patrick Harris to Mickey Rooney, Whoopi Goldberg to Selena Gomez. So the production had a variety of well-known names attached to it, so what? How does it stand to the history of the Muppets, and how good of a movie was it? The story focuses on Gary, Mary and Gary’s puppet brother Walter as they are enlisted to help Kermit peace together the disbanded Muppet group in order to save their beloved studio from the oil-crazed Tex Richman (Chris Cooper). They must raise $10 million to buy back the studio and how else do you raise $10 million as The Muppets besides a televised telethon with a surprise guest celebrity host! The Muppets pulls together a combination of child humor, adult humor and slapstick comedy perfectly to create an all together hysterical film. Well-deserved applause and laughter echoed through the theatre nonstop during the movie, as small children as young as 3 and adults as old as 50 alike joined in on the festivities of the Muppets. The Muppet stars and actors opposite them do such a great job with the back and forth, making viewers forget the fact that these are puppets and puppeteers that are interacting on screen. It takes us back to our childhood when we really believed in talking frogs and pigs, instead of looking for signs of the puppet master. It is such a great film, whether you are young in years or just young at heart.